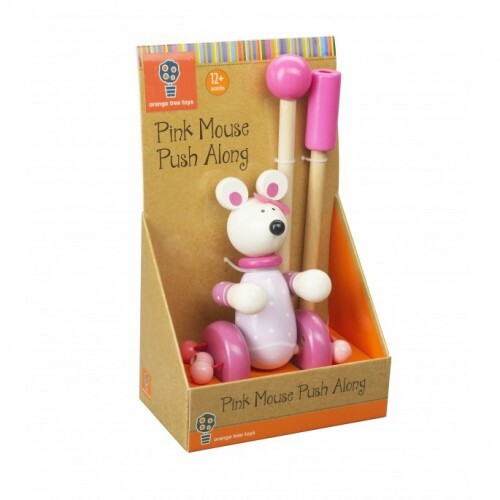 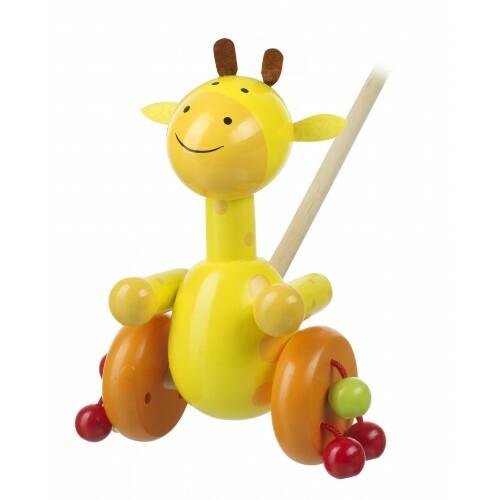 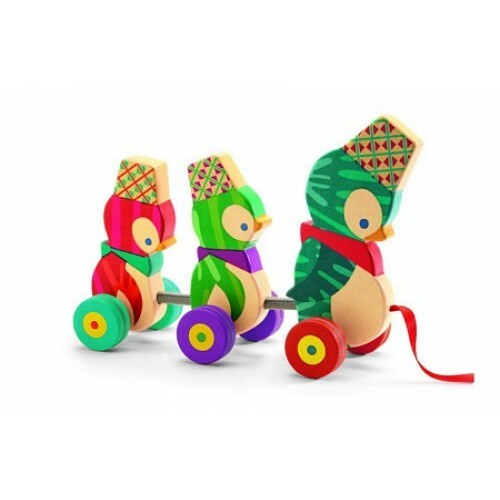 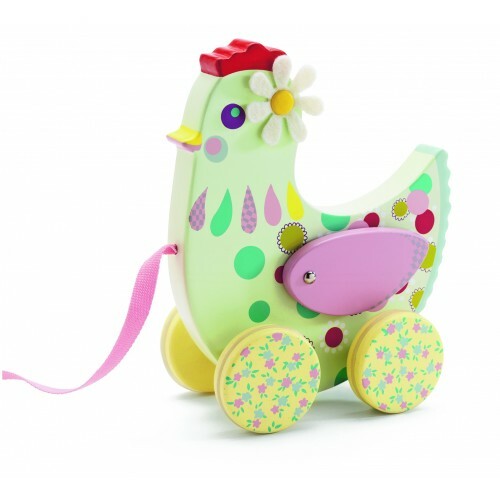 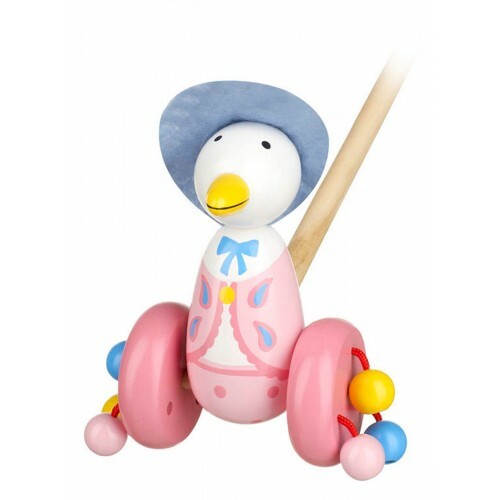 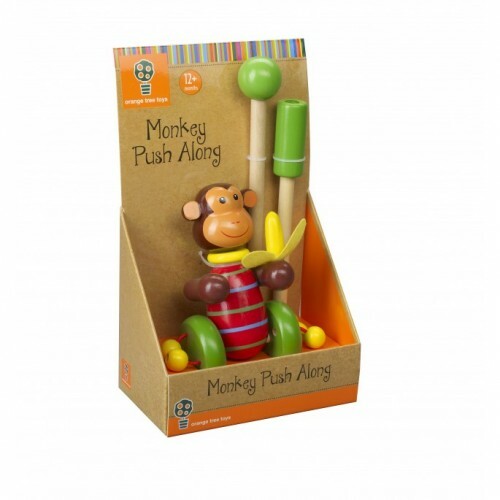 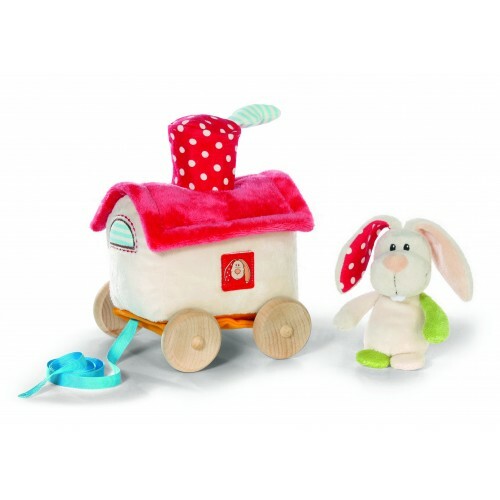 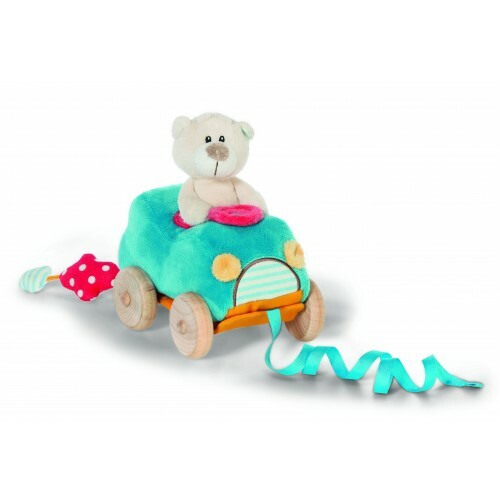 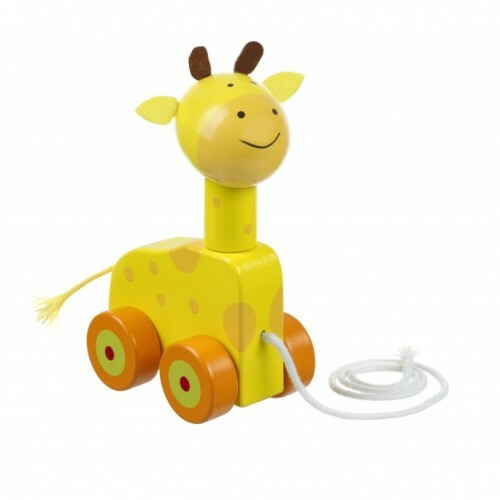 A great range of soft and wooden toy push alongs and pull alongs, perfect for toddlers learning to walk and for children that enjoy pulling their toys around with them. 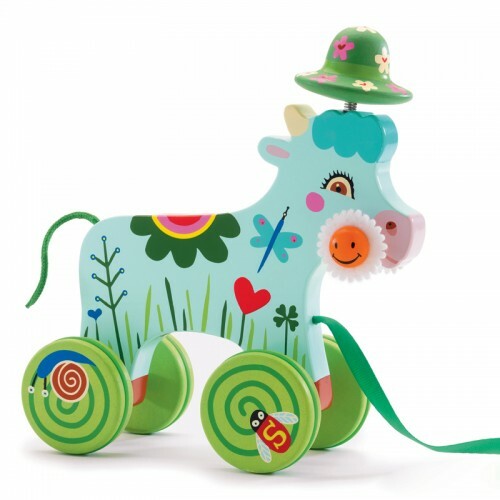 From animals to fairies there is sure to be one suited to your child. 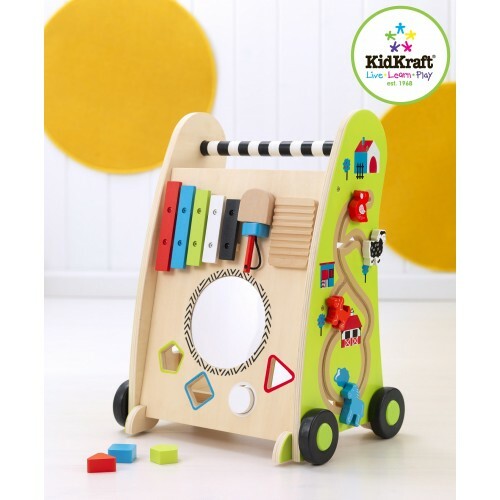 push along play cart Our Push Along Play Cart puts a tracking maze, a play xylophone, and a sh..
Orange Tree Toys Wooden Push Along The push alongs are one of our best sellers, children just see..
Djeco Bolido Wooden Pull Along Toy Beep Beep watch out here comes Bolido and his small passenger!.. 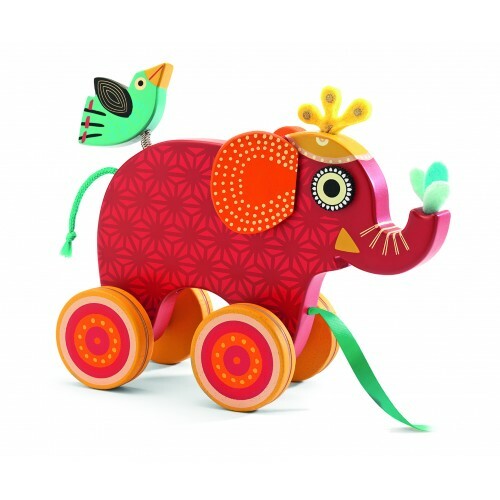 Djeco Cotcotte Hen Wooden Pull Along Anyone who meets this hen will fall in love with her, she is..
Djeco Indy Wooden Pull AlongThis is an absolutely stunning and adorable wooden toy elephant pull a..
Djeco Neko Cat Wooden Pull Along ToyA traditional toy that is always a favorite with young children,..
Djeco Pingy Family Pull Along This fantastic pull along family are sure to put a smile on any chi..
Djeco Roulapic Rabbit Pull AlongA traditional toy that is always a favorite with young children, woo..
Djeco Scouic Fox Wooden Pull Along ToyA traditional toy that is always a favorite with young childre..
Djeco Smily Cow Pull Along This is an absolutely stunning and adorable wooden toy cow pull along,..
Jemima Puddle Duck Wooden Push Along Toy Following on from the success of the animal pull alongs ..
Lanka Kade Dinosaur Pull AlongA bright green dinosaur pull along handcrafted from sustainable rubber..
Lanka Kade Wooden Unicorn Pull AlongThis magical unicorn pull along is a fantastic addition to any ..
NICI Pull Along Bear Toy The perfect toy for children that love soft toys and things that they ca..
NICI Pull Along Rabbit Plush Toy Designed especially for small children and their love of th..
Orange Tree Toys Chicken Push AlongAnother fantastic animal to join the farm!Already one of our best..
Orange Tree Toys Circus Bear Push AlongMeet our friendly bear who loves to perform at the circus and..
Orange Tree Toys Circus Elephant Push AlongOur Elephant is ready to perform and make you smile at th..
Orange Tree Toys Circus Tiger Push AlongMeet our tiger with a top hat leading the circus.Already one..
Orange Tree Toys Cow Pull Along ToyMoo Moo as you pull this cute cow along with you but don't worry ..
Orange Tree Toys Cow Push AlongAlready one of our best selling toys the push along is always a fav..
Push Along Wooden Dog Toy This is one of our favorite wooden push a longs, the dog is so cute and..
Orange Tree Toys Duck Pull-Along Toy Small children will love pulling around this little yellow d..
Orange Tree Toys Elephant and Baby Pull AlongFrom the Safari range of wooden toys we have this cute ..
Evie Mouse Pull Along Little girls will love Evie the cute mouse wooden pull along, ideal for any.. 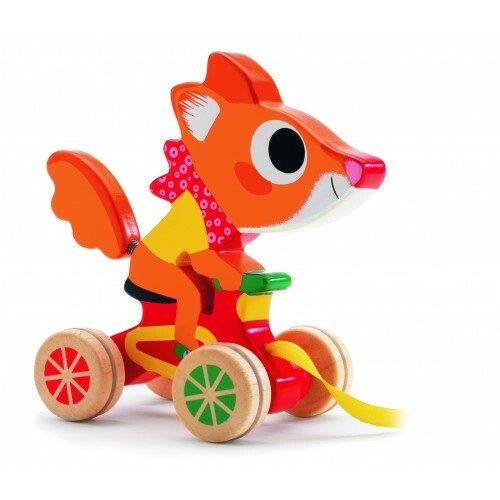 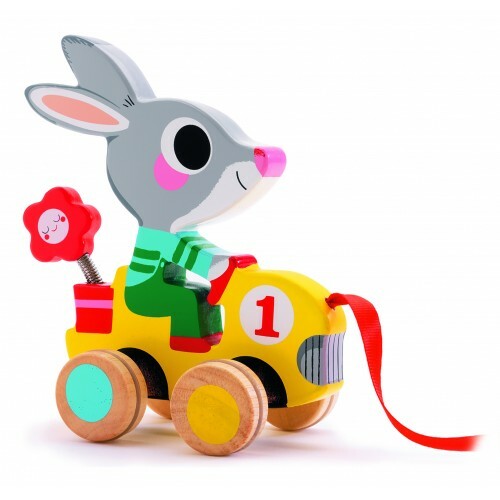 Wooden Toy Fox Push Along Push along toys are one of our best sellers children just starting to w..
Kangaroo Push Along Toy Push along toys are one of our best sellers children just starting to ..
Orange Tree Toys Knight Push Along Children love these toys and the push along is one of ou..
Koala Push Along Toy Push along toys are one of our best sellers children just starting to walk a..
Orange Tree Toys Lion Pull AlongRoar as you pull this cute lion along with you but don't worry he is..
Orange Tree Toys Lion Push Along ToyAlways a favorite with children push along toys provide hours of..
Orange Tree Toys Wooden Penguin Pull Along ToyPull along and push along toys are one of our best sel..
Penguin Wooden Push Along Toy Push along toys are one of our best sellers children just starting ..
Orange Tree Toys Peter Rabbit Wooden Puzzle TrainA new addition to the Peter Rabbit range of wooden ..
Orange Tree Toys Pig Push AlongAlready one of our best selling toys the push along is always a fav..
Orange Tree Toys Pink Mouse Push AlongAlways a favorite with children push along toys provide hours ..
Pirate Push Along Toy Push along toys are one of our best sellers children just starting to walk ..
Polar Bear Wooden Toy Push Along Push along toys are one of our best sellers children just starti..
Orange Tree Toys Pony Push AlongThis pony is super cute and friendly and is sure to bring a smile ..
Orange Tree Toys Pull Along Giraffe ToyThis giraffe is super cute and friendly and is sure to bring ..
Orange Tree Toys Push Along GiraffeThis giraffe is super cute and friendly and is sure to bring a sm..
Rabbit Wooden Push Along Toy Push along toys are one of our best sellers children just starting t..
Orange Tree Toys Reindeer Pull AlongGet in to the festive spirit with this cute wooden reindeer pull..
Orange Tree Toys Reindeer Push AlongGet in to the festive spirit with this cute wooden reindeer push..
Orange Tree Toys Sheep Pull AlongFrom Orange Tree Toys we have this delightful wooden toy pull-along..
Orange Tree Toys Sheep Push AlongAlready one of our best selling toys the push along is always a f.. 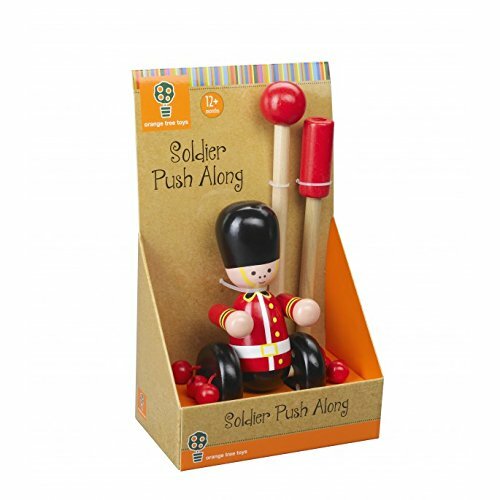 Soldier Wooden Push Along Toy A smart soldier ready for action this wooden push along will bring .. 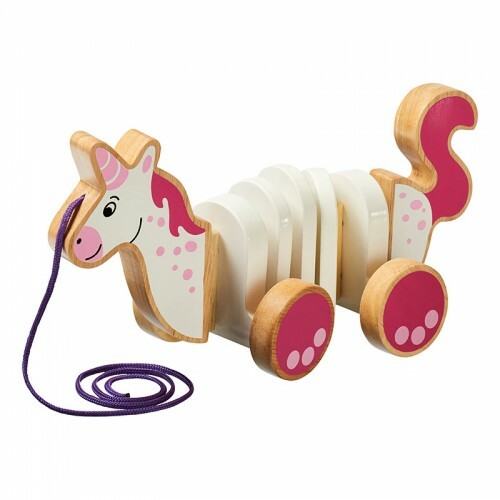 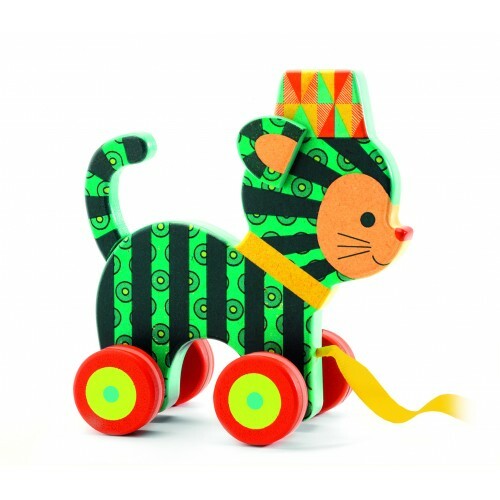 Wooden Cat Push Along Toy A cute cat push along in pastel colours, children especially toddlers l..
Orange Tree Toys Zebra Push Along ToyThis zebra is super cute and friendly and is sure to bring a sm..
Peter Rabbit Flopsy Bunny Pull AlongThis is such a adorable pull along it will make an ideal gift fo..
Peter Rabbit Wooden Push Along Toy Following on from the success of the animal pull alongs Orange..
Rabbit Wooden Pull-along Toy From Orange Tree Toys we have this delightful wooden toy pull-along ra..
Rabbit Wooden Toy Push Along The push alongs are one of our best sellers, children just seem to l.. 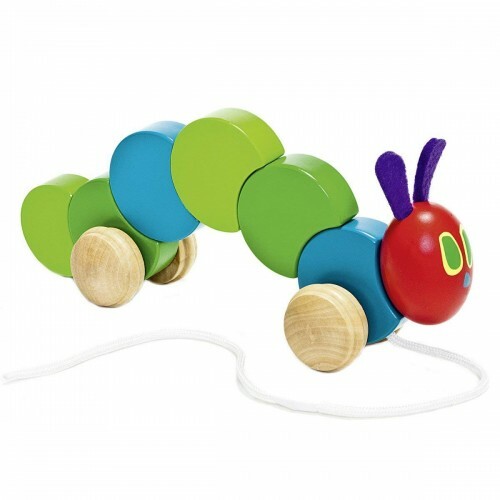 Very Hungry Caterpillar Wooden Pull AlongA favorite with small children pull along toys are always l..
Orange Tree Toys Wooden Dragon Push Along Our best selling toys are push alongs childr..